It took a few days but we hit the jackpot mid week with a full day of offshore fishing. Mahi, Kings, Black Fin Tuna, Amberjacks, Bonitas, and a shark. Good day!!! 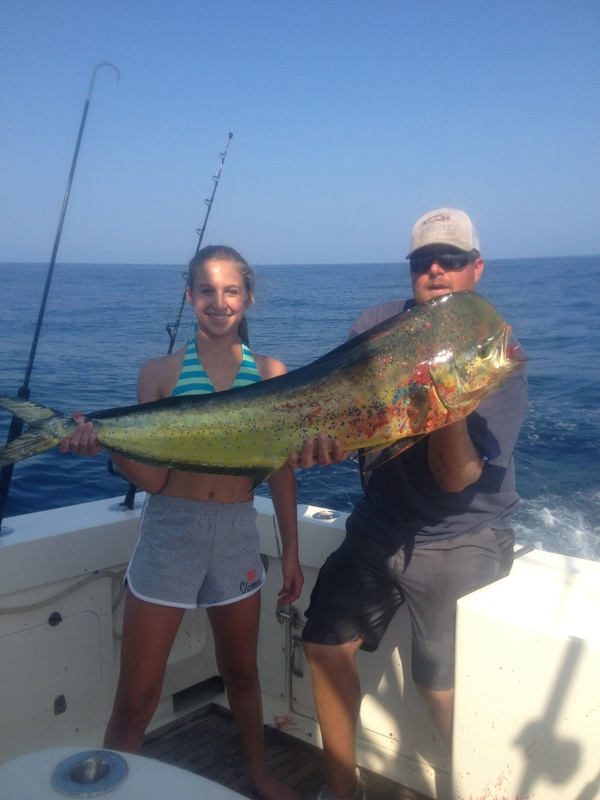 Offshore fishing report – Mahi Mahi bite continues to be VERY good. King Mackerel bite has been better this year than it has the last five years. Amberjacks and Bonita as abundant as well – great fighting fish. Grouper & snapper and other bottom species have been plentiful as well. Sailfish are starting to show up. The next 2 months are the best times for catching them. 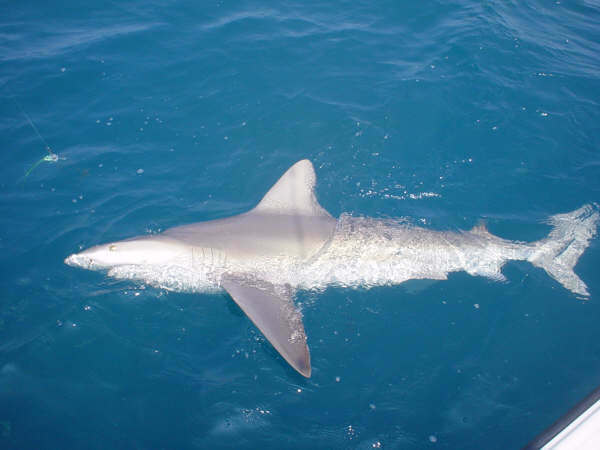 This is anywhere from 15-40 miles off beach. Near shore fishing report – Spanish Mackerel bite is on fire with a few Kings missed in. There have been a few Cobia caught. Tarpon have moved on to the beach in good numbers. This is anywhere from 3-10 miles off beach. Inshore fishing report – flounder have started moving in; speckled trout and red drum bite have been great. This is on the 0-3 miles off beach. Remember – take a kid fishing!!! Frying Pan Tower NC – Arthur Footage – Gotta See! Just a little example of what it was like offshore! 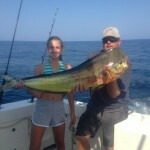 Clients “had a blast” catching Mahi today along with a few Kings! The water was a perfect blue. The fish are here…where are you?!?! Holy Mackerel Batman!! Wrightsville Beach was loaded with Spanish Macks! Two trips asked to end a little early..know why?!?! They were fished out! We had SCREAMERS! Good time with good people. And summer has just started! 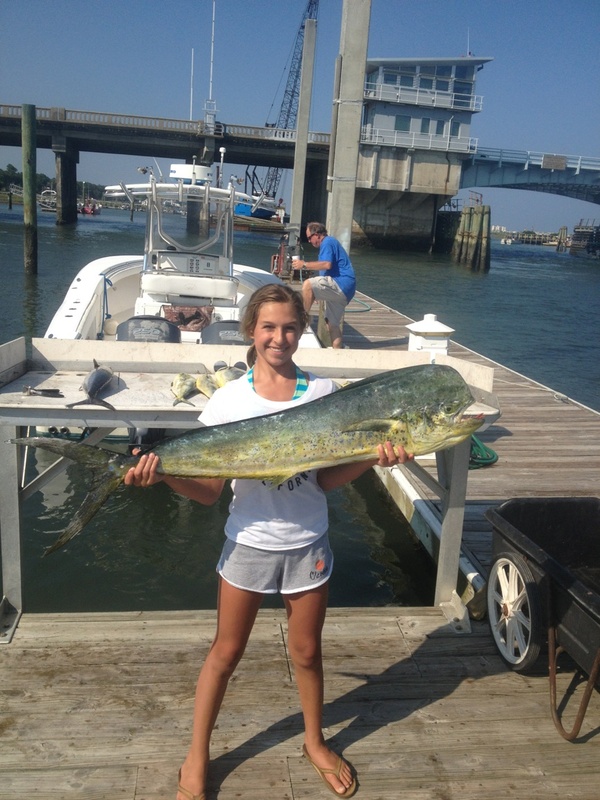 Mahi, Kings, and Spanish, oh my…during Wrightsville Beach NC charter! Have had a great June so far. 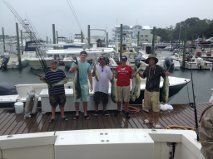 Lots of great clients catching Mahi, Kings, and Spanish. 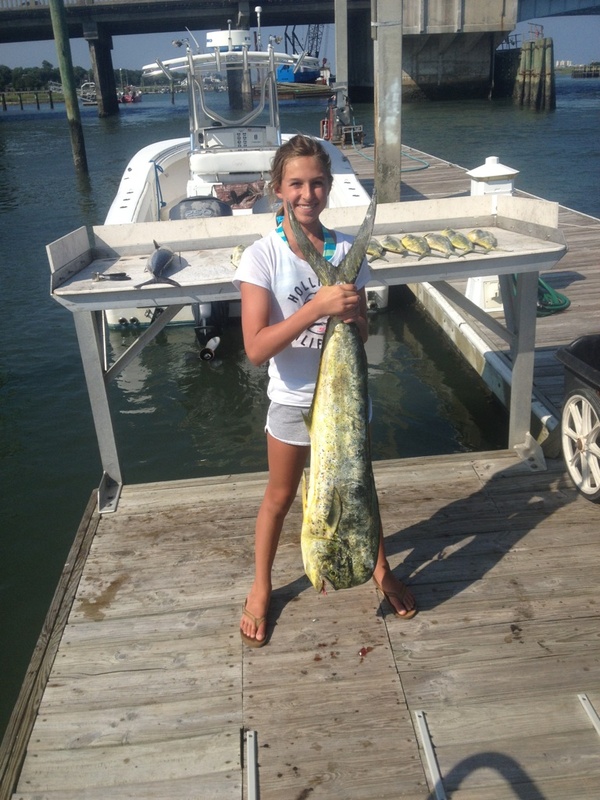 12 year old catches the biggest Mahi and King on the boat during their charter! Along with the Spanish near shore @ Carolina Beach, we have Bonitos and Amberjacks coming in around 20 miles off of Wrightsville Beach. They are both great fighting fish. Some Kings are coming in…with a stray Mahi here and there. Offshore today to try for some of them. Will keep you posted!!! Had Bachelor Parties back to back. 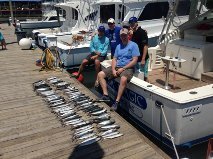 Two great trips…Friday was mostly blues…Saturday was all Spanish – 100 of them to be exact. Mornings have been great weatherwise also. Trip to the Gulf Stream this past weekend proved to be worth it! Snagged a citation Wahoo along with one other and a mahi. Also got some Atlantic Bonitos during a 1/2 day trip that were just offshore. Looking forward to tomorrow’s 1/2 day to see what we will get. Great weekend – nice weather finally! The Bridgetender Marina @ Wrightsville Beach was jam packed with Azalea Festival goers, not to mention those who were coming out of winter hibernation. We took a nice trip about 15 miles out and caught quite a few Black Sea Bass yesterday. Felt good to get out and enjoy such a great day with our clients.